In the release notes for Safari 12.1, the new version of Apple's browser installed in iOS 12.2, Apple says that it is removing support for the "Do Not Track" feature, which is now outdated. From the release notes: "Removed support for the expired Do Not Track standard to prevent potential use as a fingerprinting variable." The same feature was also removed from Safari Technology Preview today, Apple's experimental macOS browser, and it is not present in the macOS 10.14.4 betas. According to Apple, Do Not Track is "expired" and support is being eliminated to prevent its use as, ironically, a fingerprinting variable for tracking purposes. "Do Not Track" is an outdated feature that was added to Safari quite a long time ago, first showing up in OS X Lion in 2011. Proposed by the FTC, "Do Not Track" is a preference that is sent by a user's browser to various websites requesting that advertising companies not use tracking methods. It is entirely up to the advertising companies to comply with the "Do Not Track" messaging, and it has no actual function beyond broadcasting a user preference. All it does is say something to the effect of "hey, I prefer not to be tracked for targeted advertisements," which websites, advertisers, and analytics companies are free to ignore. 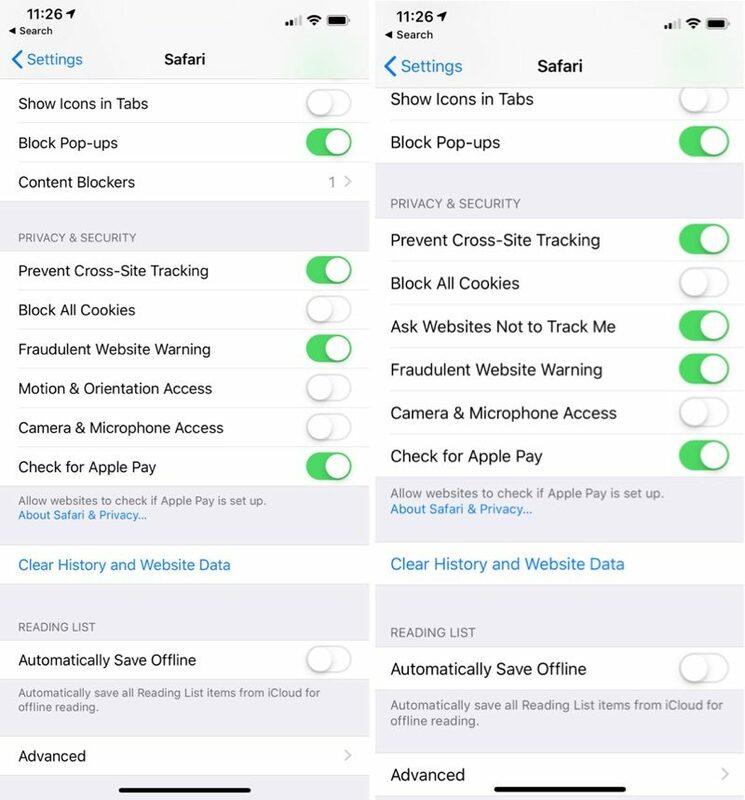 In the settings for Safari in <!---->iOS 12<!---->.2, Apple is no longer listing "Do Not Track" as a setting that can be toggled off or on, and in the Safari Preview browser, "Ask websites not to track me" is no longer listed as an option. To replace Do Not Track, Apple has been implementing much more stringent Intelligent Tracking Prevention options, which do actually have a tangible effect and prevent the tracking methods that many advertisers and analytics sites use to detect your cross-site internet browsing.